The 1SKB-SC2414 DJ and MIDI Keyboard Controller Soft Case from SKB combines the protective qualities of rigid foam with the style and portability of a canvas bag to accommodate the Numark NS6 and other popular DJ performance controllers. 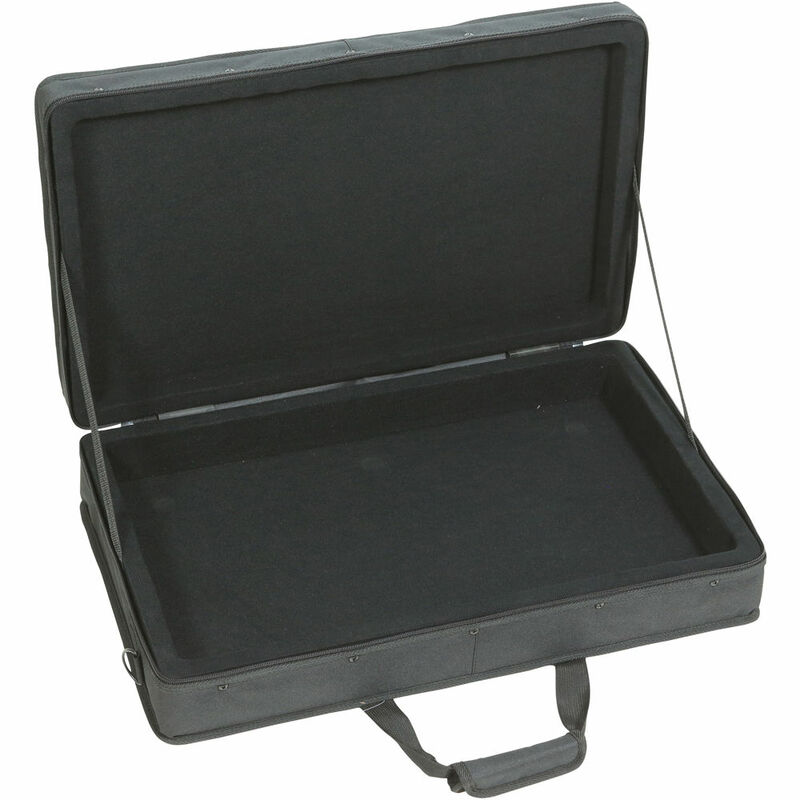 The case can also provide protection for small MIDI controller keyboards or any controller with dimensions up to 24 x 14 x 5.5". The lightweight 5 lb case features a durable 600 Denier exterior layered with rigid foam and a 1.5" thick removable convoluted pad to accommodate for different product heights. The exterior pouch keeps accessories organized and easily accessible. Additional features include a heavy-duty double pull zipper, carrying handles, and a detachable shoulder strap. Box Dimensions (LxWxH) 24.0 x 14.0 x 3.0"